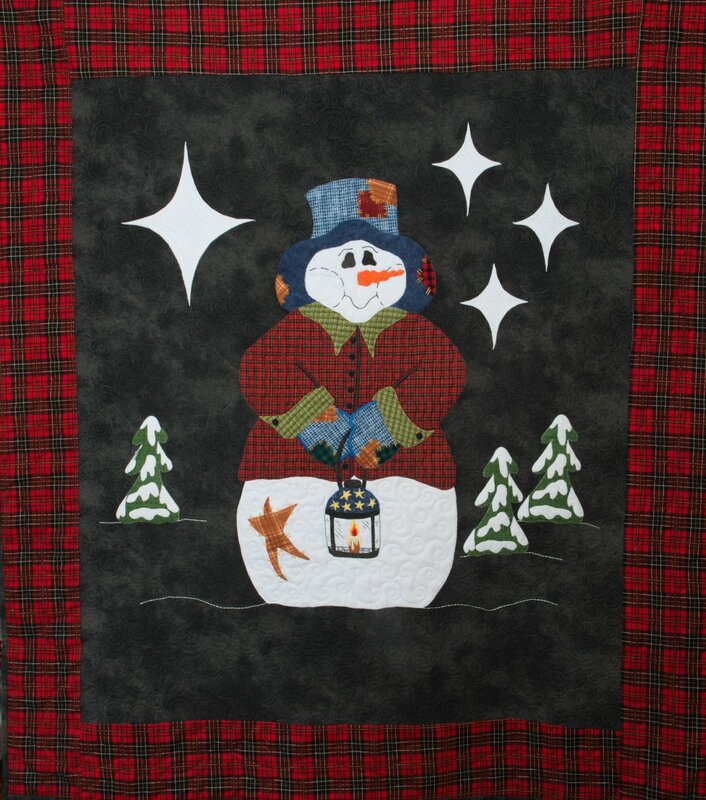 Enjoy this adorable quilt through the Season of Fall. 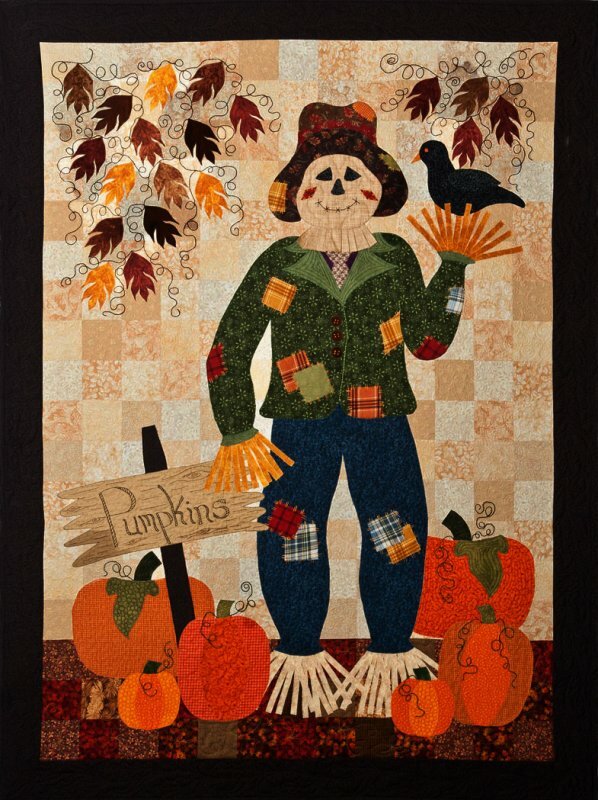 Pick all of your favorite fall colors to bring this cute scarecrow to life. 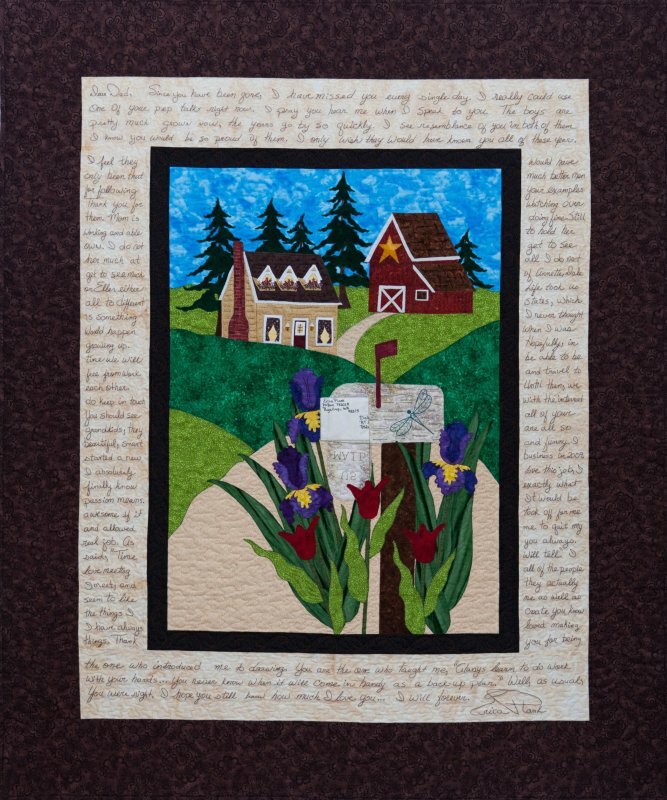 Machine Applique and Hand Embroidery is involved in this quilt. Two Versions in one pattern. 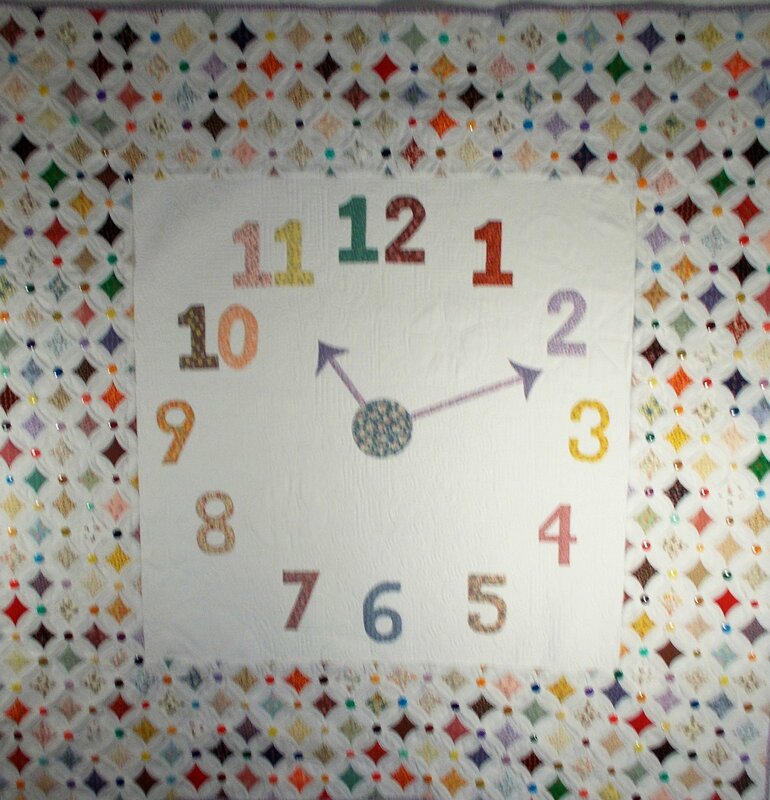 Finished size for the applique' is 45" x 51. Fun pattern!! 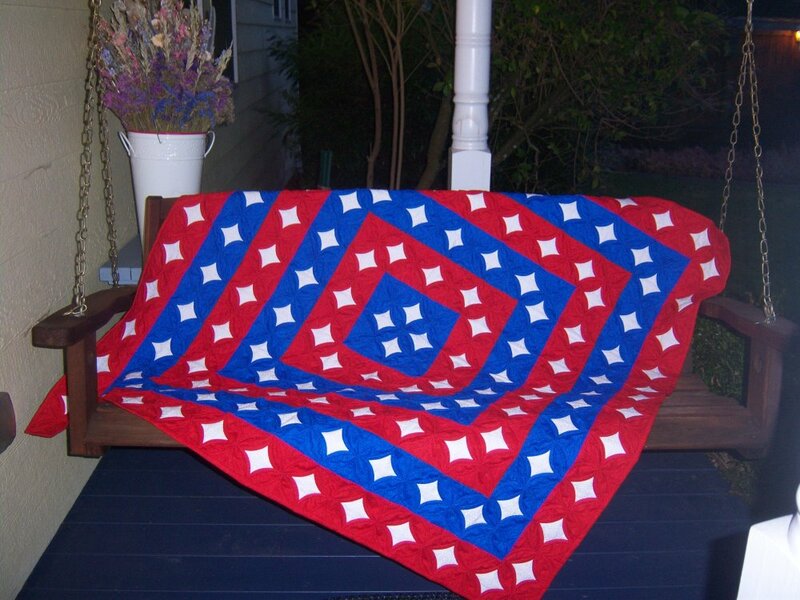 This quilt is a personal quilt for you to make to a loved one. Write a letter for them to treasure, or complete the middle section for a wall hanging. 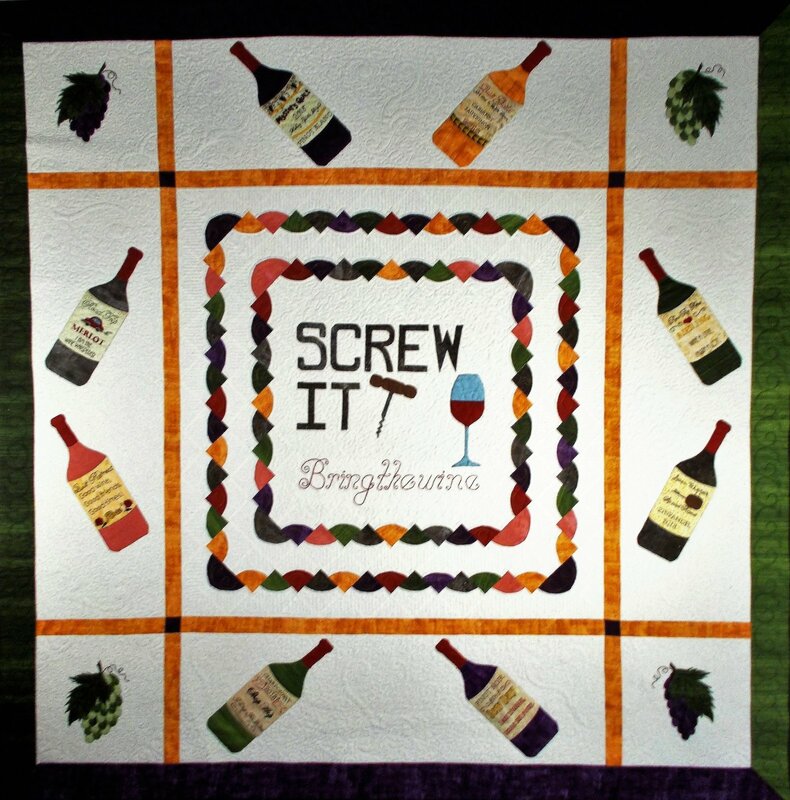 Hand Embroidery and Machine Applique are both involved in making this fun quilt. 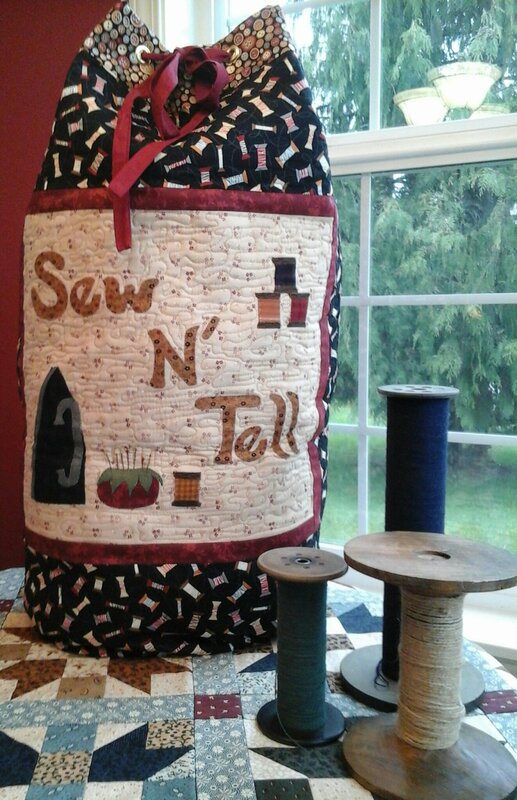 Finished Size: 21 1/2" 32" Are you a 'Guild Member' that loves to bring in your "Show and Tell"?? Now you have a bag to carry your quilts in. 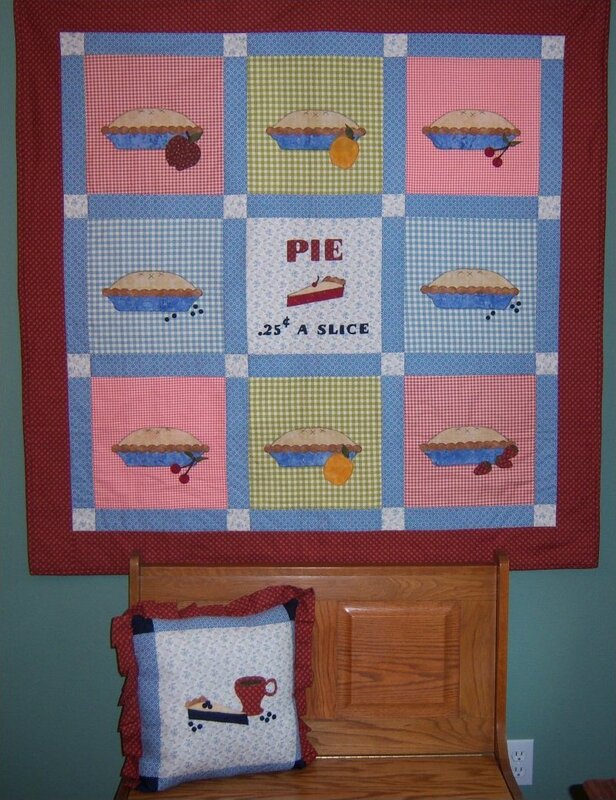 This 'old fashion' pie quilt is perfect for a kitchen or summertime outdoor party tablecloth. You can also break up the pattern to create your own placemats or table runner. It is fun to make!! 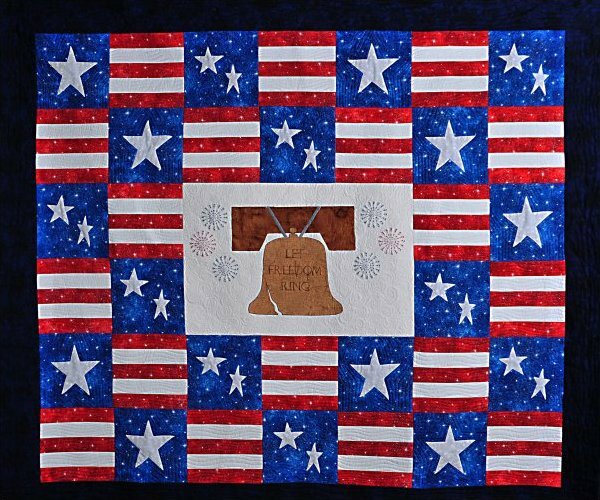 "Let Freedom Ring" in your home with this patriotic quilt. It has a small amount of embroidery and some applique'.